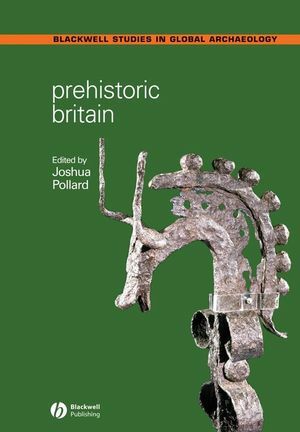 Informed by the latest research and in-depth analysis, Prehistoric Britain provides students and scholars alike with a fascinating overview of the development of human societies in Britain from the Upper Paleolithic to the end of the Iron Age. Joshua Pollard is Senior Lecturer in Archaeology at the University of Bristol. Since 1999, he has been actively engaged in fieldwork on the late Neolithic monument complexes at Avebury and Stonehenge in southern England. Dr Pollard is the UK editor of the Journal of Social Archaeology and has published several books, including Avebury (with Mark Gillings, 2004), and Monuments and Material Culture (editor, with Rosamund Cleal, 2004). 1. The Construction of Prehistoric Britain: Joshua Pollard (University of Bristol). 2. The British Upper Palaeolithic: Paul Pettitt (University of Sheffield). 3. The Mesolithic–Neolithic Transition in Britain: Julian Thomas (University of Manchester). 4. Foodways and Social Ecologies from the Early Mesolithic to the Early Bronze Age: Rick Schulting (University of Oxford). 5. Temporary Spaces in the Mesolithic and Neolithic: Understanding Landscapes: Lesley McFadyen (University of Leicester). 6. The Architecture of Monuments: Vicki Cummings (University of Central Lancashire). 7. Lithic Technology and the Chaîne Opératoire: Chantal Conneller (University of Manchester). 8. How the Dead Live: Mortuary Practices, Memory and the Ancestors in Neolithic and Early Bronze Age Britain and Ireland: Andrew Jones (University of Southampton). 9. The Development of an Agricultural Countryside: David Field. 10. Foodways and Social Ecologies from the Middle Bronze Age to Late Iron Age: Jacqui Mulville (University of Cardiff). 11. The Architecture of Routine Life: Joanna Brück (University College Dublin). 12. Later Prehistoric Landscapes and Inhabitation: Robert Johnston (University of Sheffield). 13. Ceramic Technologies and Social Relations: Ann Woodward (University of Birmingham). 14. Exchange, Object Biographies and the Shaping of Identities, 10,000–1000 B.C. : Stuart Needham (British Museum). 15. Identity, Community and the Person in Later Prehistory: Melanie Giles (University of Manchester).